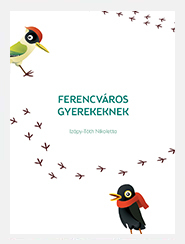 Trilla, the blackbird, and Csellő, the green woodpecker live in Ferencváros. They are interested in so many things and visit many places of Ferencváros. Now they tell all the secrets of the district they know for the children. The two main characters of the book guide children to the everyday life of the district and introduce the emergence, development, and operation of the city quarter. The playful task helps youth to discover the world around them, the built environment, the most important buildings, streets, squares, parks. Guessing the riddle makes children meet famous people from the district, shop in the central market, travel on water, underground, visit the theater or the museum, organize an exhibition in their school, do sport, visit the doctor. They get to know the urban flora and fauna and engage in environmental protection actions. The goal of the book is to inspire children to think about the city, give their opinion about the changes in the district: about renovated buildings, established new squares and parks, usage of empty buildings. They are invited to think about how they could influance the development of the city and how they could contribute to making the city more livable. 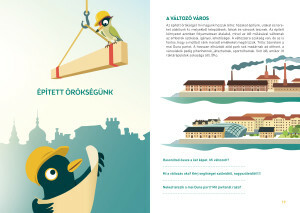 The author of the book is Izápy-Tóth Nikoletta architect, conservation engineer, a member of the kultúrAktív Egyesület, mother of 4 children. The graphical illustration of the book is made by Remsey Dávid graphic artist, winner of the Childrenbook Illustrator Prize in 2015. The professional lektor of the book is dr. Gönczi Ambrus, the leader of the local history collection Museum of Ferencváros, and Bonyhádi Katalin pedagogue, a history teacher. Language assistant: Zöldi Anna, architect, architectural writer. Editor of the book is Sebestyén Ágnes, art historian, vice-president of the kultúrAktív Egyesület. 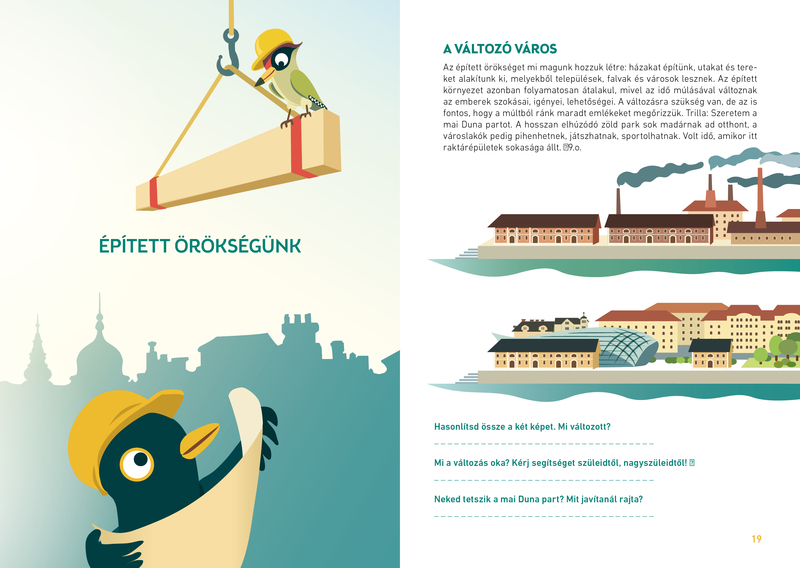 The book is financed by the Municipality of Ferencváros and the Nemzeti Kulturális Alap.